It is estimated that upwards of 80% of Americans will experience the herpes virus in their lifetimes. This includes the cold sores and fever blisters of the mouth and face, genital herpes, chickenpox, shingles and the more rare occurrences of other herpes viruses. Herpes of the mouth (face), called herpes simplex I, and genital herpes, herpes simplex II, seem to only surface when the person who has the dormant virus within their system feels very stressed or the body is extremely exhausted or immune compromised. During these vulnerable times, small ulcerations will appear on the lips, in the mouth, on the face or chin, or in the genital region. Painful, itchy and/or irritated, these sores do not seem to heal very rapidly for most people, and may become more raw and aggravated with the passing of time, especially if the stress or weary body has not been addressed sufficiently. The Centers for Disease Control (CDC) estimates that one in four women and one in five men experience genital herpes outbreaks, and many will have regular recurrences of the sores, commonly as often as four times a year. The statistics are more staggering for the herpes simplex I virus. A full 80% of us will be exposed to, then carry the dormant virus or experience outbreaks of cold sores. Another common form, shingles, is on the rise. Also known as Herpes zoster or simply zoster, shingles is caused by the same virus that causes chicken pox. Anyone who has had chicken pox may also develop herpes zoster at any time thereafter, but most often it will manifest later in life when enduring a deep stress such as the loss of a loved one or moving away from the family home. Acutely painful, shingles may last just a few weeks, as long as several months or rarely even years. Some continue to experience neuralgia, phantom or real pain long after the outbreak has cleared. This is called post-herpetic neuralgia. This is an embarrassing and uncomfortable group of viral infections to say the least, and at worst, can rarely be life threatening. There is no known cure for the herpes virus with the use of pharmaceutical medicine. It is believed in western medicine that once contracted, it will always be within the body, active or dormant. With herbalism, however, there seem to be some excellent long-term solutions to the pattern of breakouts that so many young (and not so young) people experience. Rather than being one chemical (or a small grouping of chemicals) as are the medications, herbs are very complex, often containing hundreds of known constituents. Many of these constituents have been tested and found to be effective against potentially pathogenic microorganisms, such as the herpes viruses. One chemical is easier for the virus to figure out, so to speak, and become immune to. But the complex constituents found in herbs and mushroom extracts have been found to work in a wide variety of ways, supporting immune health as they support the body’s ability to reduce the numbers of the potential ‘bad guys’ such as harmful bacteria, viruses and fungal infections. Many Chinese, Ayurvedic and western herbs are shown in research to suppress these and other powerful viruses. Several potent medicinal mushroom species have shown great activity against herpes, as well as other potentially dangerous viral infections. Research has shown that there has been a correlation found in those prone to the herpes virus with having higher levels of mercury and possibly other toxic heavy metals stored in their bodies. Heavy metal toxicity is well documented for reducing the immune system’s ability to protect the body and is linked to higher stress levels. Using regular detoxification programs can help reduce this toxicity and the resulting side effects. Please read: Detoxification Is a Matter of Health, posted to this site very soon. When someone who experiences or may carry any of the herpes viruses sets out to find relief, the possibilities are extensive. When experiencing an outbreak, one may begin by supporting the body in healing from the pain and discomfort of the sores. Then it is the time reduce the chances of a recurrence while strengthening the immune system defenses to suppress and subdue the virus. Resource: September 30th, 2005 by Cindy Hebbard. 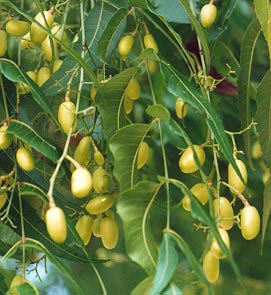 Neem (Azadirachta Indica) is a tree that originated in India and Sri Lanka, and has been planted throughout much of the tropics around the globe. A deciduous evergreen, its leaves are pressed for their nutritive, antimicrobial, healing oil. Research indicates that Neem is a powerful tool to fight viral infections, including the herpes virus. Neem may be applied topically to any areas of the body during an outbreak or just prior, when stress is high and we begin to get that ‘feeling’ that often occurs just before an outbreak. 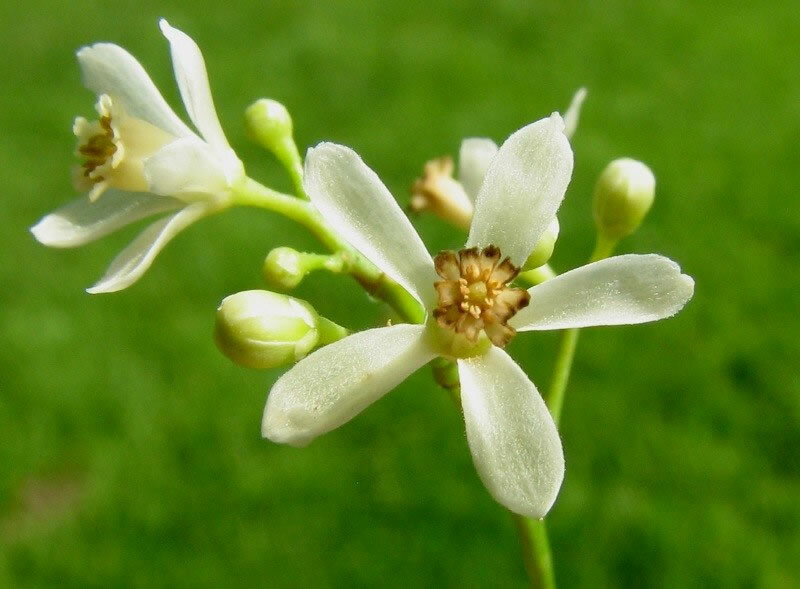 To speed relief, one may also take the oral supplements, such as Neem leaf capsules. Neem has been traditionally used against viral infections and the research results so far are very promising. There has been a scientific study at Johns Hopkins University in 1997 where researchers tested the effect of neem against the herpes simplex virus-2, and found it "provided significant protection". 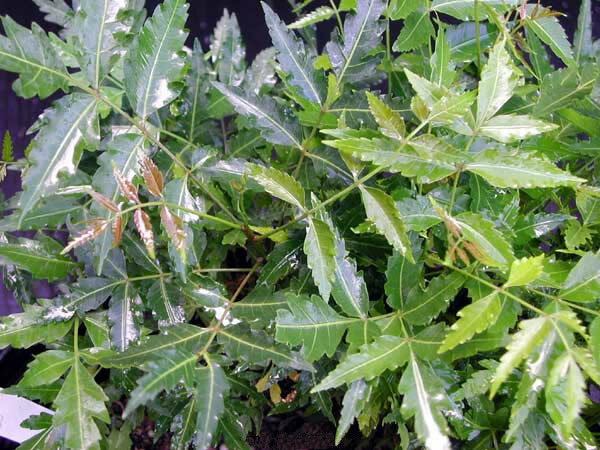 The scientists haven't been able to exactly figure out how it works, but neem seems to make it difficult for viruses to reproduce. This means the impact of any viral infection will be a lot less. Neem also boosts the immune system and that also helps to fight off the virus. It definitely works. So what about treating an existing herpes infection with neem? There is no research data to give you an answer here, so you can only look at the traditional uses and experiment. There are some reports that neem does indeed speed up the healing of cold sores (herpes simplex type 1, not genital herpes). Herpes is usually treated both internally with neem leaf (either as tea or in capsule form, neem leaf tea is usually more effective) and externally by treating the lesions with neem leaf paste, a neem based cream or neem seed oil at least once a day. Anything that boosts the immune system (like neem does when used internally) is desirable in managing genital herpes and avoiding outbreaks. Keep in mind that you should not take neem internally if you are pregnant or trying to conceive, but if not and if you are otherwise healthy, then having two cups of mild neem tea a day is ok. And topical application of neem most definitely can't hurt. Neem has many other health benefits as well so there is no harm in trying. © Birgit Bradtke of DiscoverNeem.com. Published with permission.